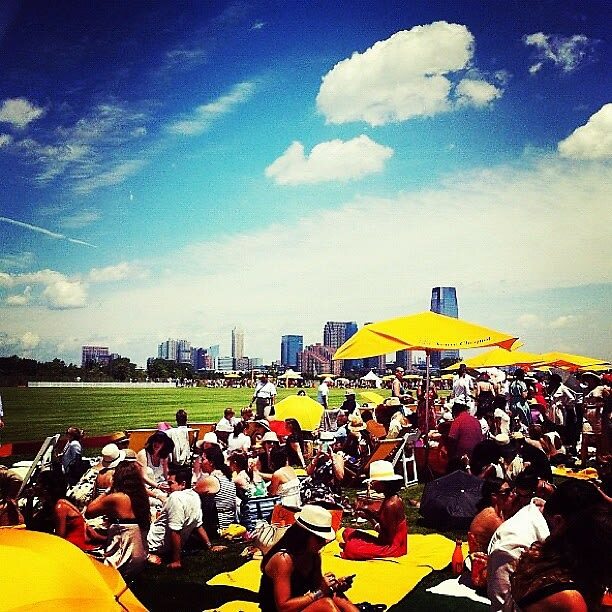 The fifth annual Veuve Clicquot Polo Classic took place this weekend at the Liberty State Park in support of Work To Ride. The founder and co-host of this years ticket-only affair, Nacho Figueras, took home MVP of the day as he led his team, Black Watch, to victory over team Nespresso. Co-host, Clive Owen was joined by a line-up of celebrities, including Minka Kelly, Jason Wu, and Coco Rocha. The day was all about extravagant outfits, funky hats, carts of champagne and a polo match somewhere in between.